The New Year is upon us and it is looking incredibly promising in terms of car release. 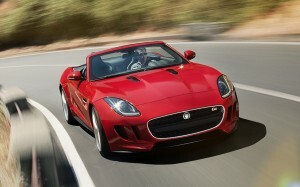 Here we shall take a look at some of the best cars which will grace the production lines in 2013. 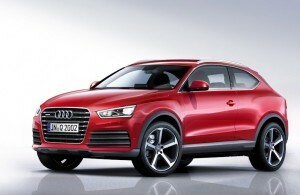 The Audi Q2 is finally on the horizon, it is an SUV but it is much smaller than the Audi Q3 and is set to go toe to toe with the likes of the BMW X6. The Q2 is going to take the form of a four-seater, which is unusual for a SUV but it just means more space, and a permanent excuse not to cram three people into the back; no one wants to have to sit in the middle seat… so why have it! Rumours suggest that there will be both a two and four-door option. Don’t expect much in the way of off-roading. 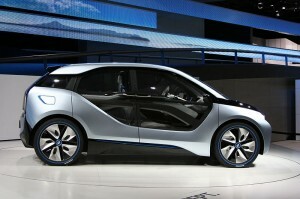 The i3 is one of BMW’s “Project i” models which is set to go on sale in 2013, is you can tell by looking at it, it is purpose built to offer good economy and green credentials. It is being billed as an urban electric car, featuring an all-electric powertrain, making this the first mass produced zero emissions vehicle in BMW history. Electric cars have struggled in the past so we are interested to see if automotive giant BMW can make it work. 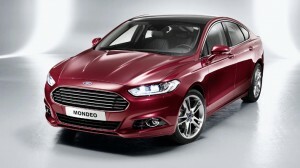 At the risk of being exiled by my colleagues, I have never really been a big fan of the Ford Mondeo; I think it is mainly because the styling has bored me into a coma in the past. That has all changed with the model that is expected in 2013, it looks terrific. Sure it’s taken some styling cues from other models but hey, if you can’t beat them, copy them. It is expected to lead in its class in terms of emissions producing only130g/km thanks to its EcoBoost technology. Oh and to address the elephant in the room; it looks like an Aston Martin. Being form the generation that I am, my only reference for the fabled E-Type comes from TV shows like Top Gear and a bunch of “best cars ever” lists. Unfortunately though it’s hard to come by a used Jaguar E-Type; this has left me with a sense of allure, which I am hoping the F-type will satisfy. There will be two 3.0 litre Supercharged V6 engines (335 hp & 375 hp) and a 5.0 litre Supercharged V8 (488hp), so it all sounds very promising. It looks great too. 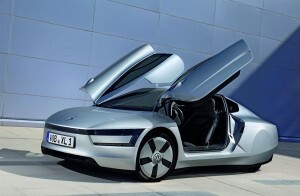 The Volkswagen XL1 promises to save the planet with its revolutionarily sparing engine. It has become known as the 1-litre car, as it has been designed to do 100km on only one litre of diesel fuel. This means the XL1 has a fuel economy of 282mpg. They have gone to great lengths to enhance fuel economy, including full wheel covers, which look pretty cool. We aren’t 100% sure we will be seeing the XL1 in 2013, but it is definitely on its way, and we can’t wait to see if it can actually hold its own. Could the XL1 be the starting point for the future of cars? Other cars we thought deserved a mention are the Renault Megane MkIII, the Volvo XC60, the Citroen DS3, the Kia Rio MkIII and the Alfa Romeo Giulietta. This entry was posted on Tuesday, January 22nd, 2013 at 5:22 pm	and is filed under New Cars. You can follow any responses to this entry through the RSS 2.0 feed. Both comments and pings are currently closed.